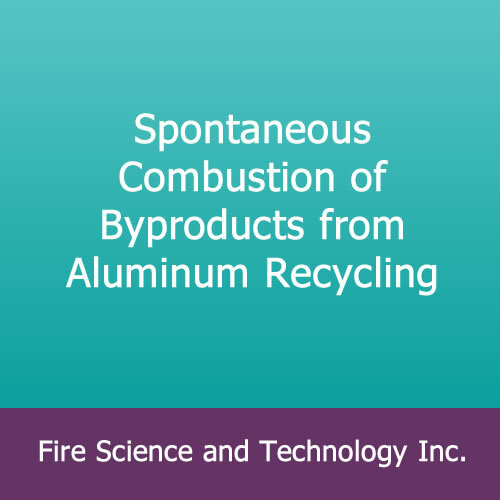 Spontaneous Combustion of Byproducts from Aluminum Recycling – Fire Science and Technology Inc.
Spontaneous Combustion of Byproducts from Aluminum Recycling, by Satoshi Takai, Journal of the Japanese Association of Fire Science and Engineering, Vol. 39, No. 1 (Whole No. 178), 17-20 (1989). English translation from Japanese. 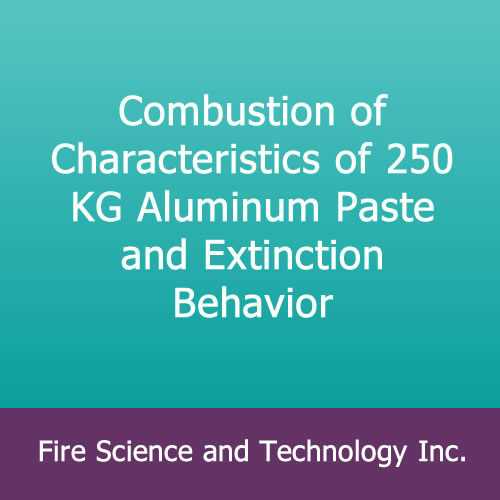 A fire occurred in Japan due to spontaneous combustion of aluminum dross (manufacturing waste product) in a parked truck that was filled with this material. 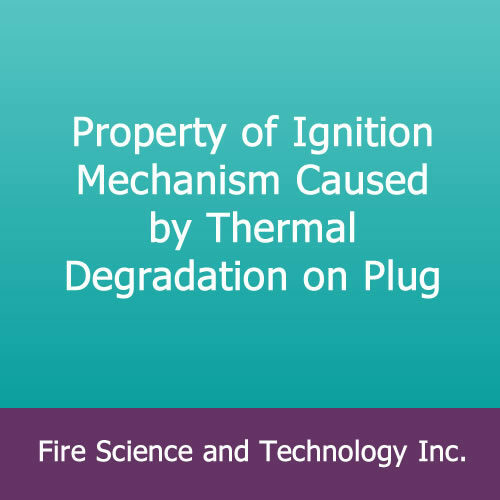 Extinguishment efforts were not successful and, in fact, some explosions occurred. 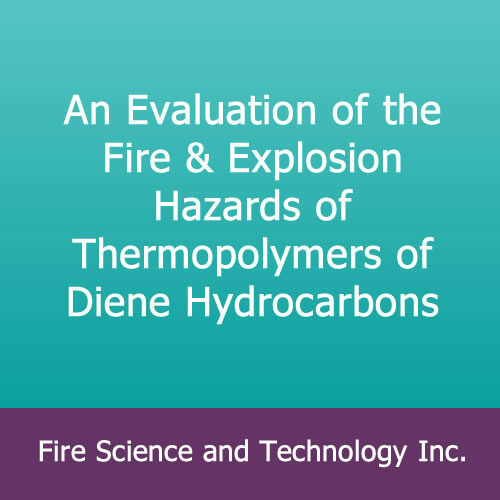 Consequently, a laboratory investigation was conducted to understand the circumstances. 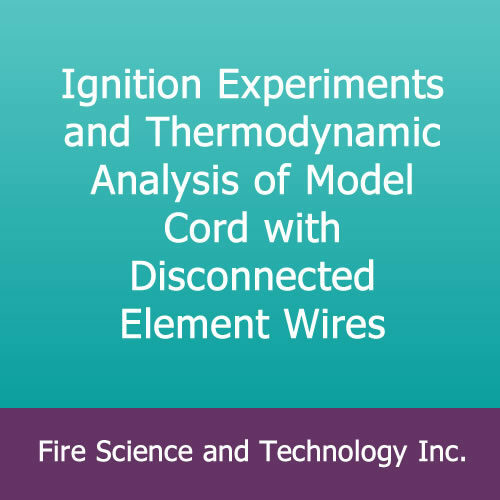 Ignitability, thermal analysis (differential scanning calorimetry, DSC), and water-reactivity tests were conducted. Strong exothermicity was found when reactivity with water was studied, and the reaction products were chemically analyzed. Generation of methane and ammonia gas was confirmed. The chemical composition of the dross was determined using X-ray fluorescence technique.